All of us have certain abilities as well as skills. Especially the teenagers are full of amazing talents. They can make the best out of waste. Similarly, we’ve found someone who did something that was really out of the box. Ellie Yeater, 14, saved around 500 dollars. 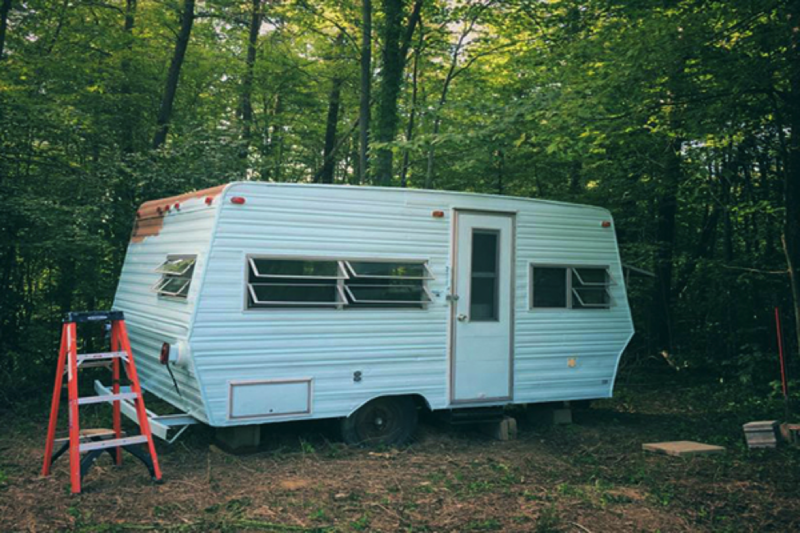 She bought an old camper and then transformed it into something that sets her apart. She saw a camper on an online sale and spent 200 dollars for buying it. After purchasing it, she was all set to transform it into a brand new one. 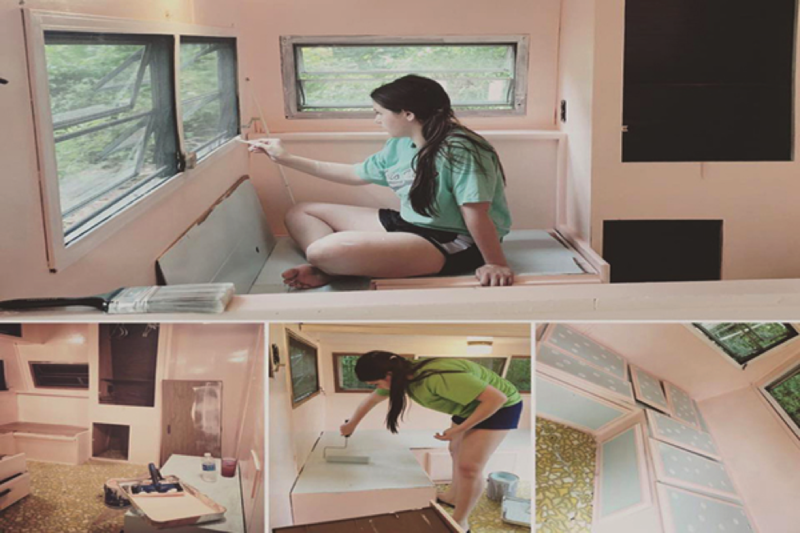 She wanted to have her own camper and she got this idea when her elder brother Isaiah built a tiny cabin on their family property. Ellie wanted her own hangout spot near the house and she wanted a combination of cute and cool along with wi-fi and electricity. 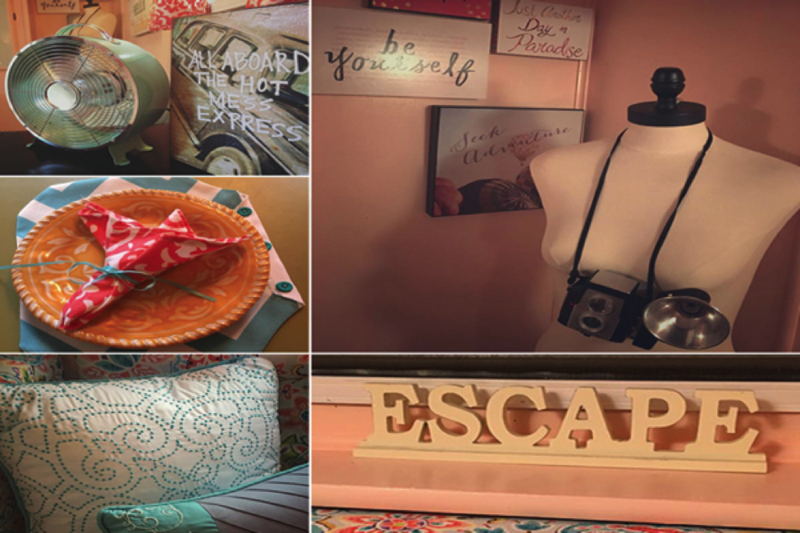 To make it look more girly, she painted the inside walls peach with polka dots. Eilie’s father and her grandmother also contributed in this creative task. 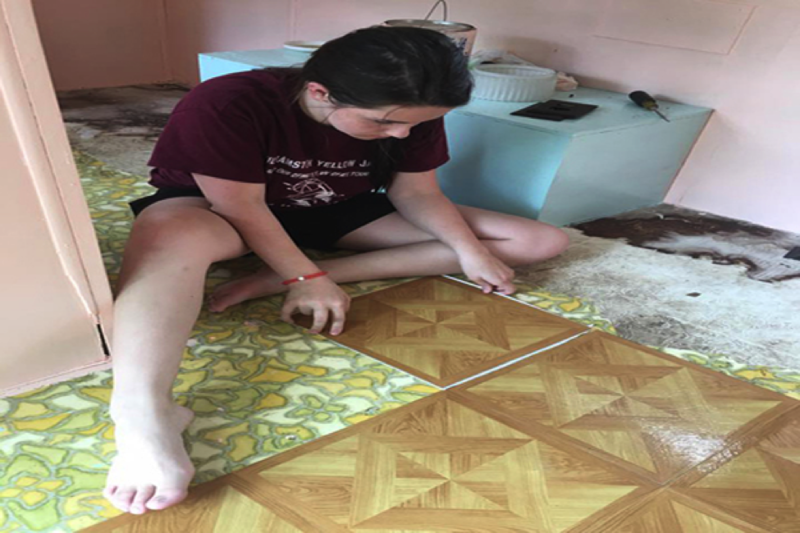 Her father helped her with carpentry and her grandmother made curtains to hang inside. She wisely used the items she collected all summer long and also constructed a hideaway along with a winding path to it. She also is expecting a few friends for sleepover. Ellie’s summer work bore a really, really sweet fruit for her. 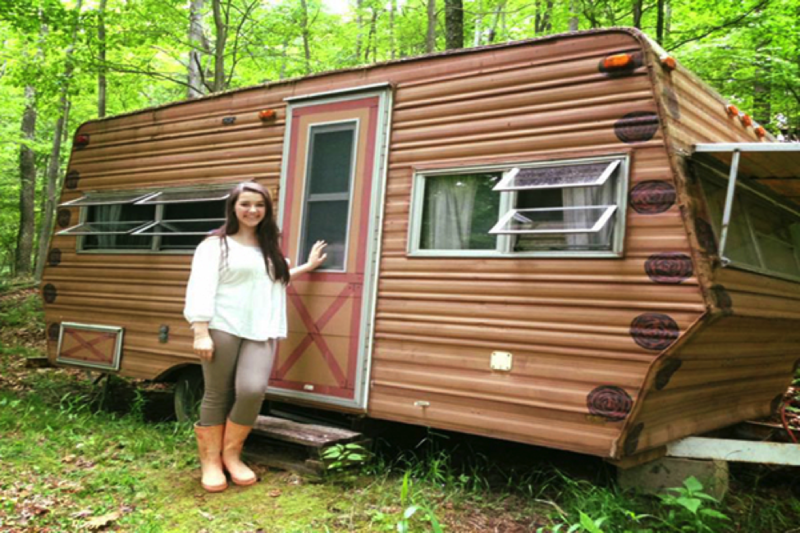 She can now enjoy in her newly made camper all her life and have the best hangouts of her life.